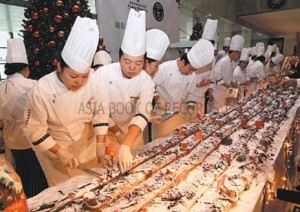 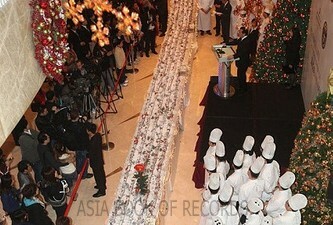 Pudong Shangri-La Hotel in Shanghai has created the world’s longest Christmas cake. 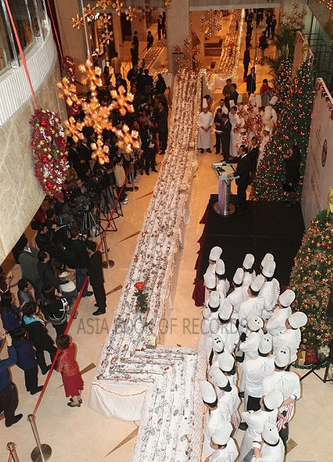 It is 1068-metre-long Yule log cake, created after 24 hours of hard work by 80 chefs during a charity event to raise funds for children suffering from cancer. Comments for LONGEST CHRISTMAS CAKE are now closed.